Reflections of Hostile Revelries: A Collection of Political Poetry Musings by Jennifer C. Wolfe is another collection of political poetry ripped from the headlines, as the narrator comments on the mistakes made by our political leaders and political campaigns gone wrong. These poems read more like critical essays, rather than verse, using a narrative prose style that grabs a headline and picks it apart with a fine-toothed comb to unveil the unsupported facts of today’s political platforms and the flip-flopping of candidates eager to please the masses. She covers topics ranging from immigration enforcement to the “nanny” state laws, and some of these poems are hilarious in their re-appropriation of pop culture. Then they'll be able to fix a plight. We'll have a dismal time! Repeat: We'll have a dismal time! Wolfe has an uncanny sense of humor, while still calling attention to the problems in today’s government. Like the horrifying news we hear and see on the radio, Internet, and television, these poems call attention to the problems in government — ones as voters we should be paying attention to and looking for ways to resolve them when voting for candidates — and brings to life the humor of the situation, and sometimes in a particularly ridiculous way. Wolfe does not stop at just politicians, poking fun and holes in big business like the banking sector’s use of fees to charge money to its own customers for using their own debit cards provided to them by the banks that issue them. She even crosses the U.S. borders into international politics. "A bump in the road." Reflections of Hostile Revelries: A Collection of Political Poetry Musings by Jennifer C. Wolfe uses longer narrative poems to critique the world around us, but she also uses haiku to comment on events. And a haiku may be the best way to comment on some of the most tragic events that have occurred in recent years, particularly those that have left us speechless. Jennifer C. Wolfe grew up in Maplewood, Minn., and studied fiction writing and poetry at Century College in White Bear Lake. Mississippi. Wolfe has five previous publishing credentials: a poem “If” included within the Century College (White Bear Lake, MN) Spring 2008 Student Lounge literary magazine along with three poetry manuscripts, Kick the Stones: Everyday Hegemony, Empire, and Disillusionment published as an eBook by BlazeVOX Books, New York, October 2008, Yukon Rumination: Great Fun for All in the Land of Sarah Palin’s Joe Sixpack Alaska, published as an eBook by BlazeVOX Books, New York, June 2009, and Healing Optimism, and Polarization, published as an eBook by BlazeVOX Books, New York, February 2010, and two poems “St. Patrick’s Day” and “Roller Coaster,” published within the online edition of Scrambler Magazine, Issue 39, June 2010. Book 24 for the Dive Into Poetry Reading Challenge 2014. 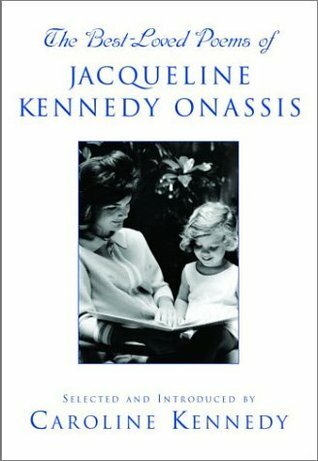 The Best-Loved Poems of Jacqueline Kennedy Onassis selected and introduced by Caroline Kennedy, her daughter, is a collection of classic poems that the former first lady adored for either their sense of adventure and whimsy or because she felt the passion of the love the poets expressed. Caroline Kennedy does an excellent job of explaining why the poems meant so much to her mother and how they were selected and categorized, and it was great to see that she carried on the traditions started by her own mother with her own children. In particular, Jacqueline Kennedy Onassis started a tradition of having her children read, write, and recite poems for each holiday and birthday, and the children were encouraged to write the poems down and illustrate them, and those memories were kept in a scrapbook. Rather than making it seem like work, it became a competition among the children to find the longest poem, the best poem, and to outshine one another when they read them. I can only imagine what pride that gave their mother. As with any collection dealing with the Kennedy family, it is no wonder that this poetry collection begins with poems that pay homage to America, and also includes the poem read by Robert Frost at the Kennedy inauguration. Kennedy said at the dedication of a library named for Robert Frost, “The men who create power make an indispensable contribution to the Nation’s greatness, … When power corrupts, poetry cleanses. For art establishes the basic human truth which must serve as the touchstone of our judgment.” (page 5) There are points in the collection that will require readers to have more patience as the older poems have more complex language and verses. The Best-Loved Poems of Jacqueline Kennedy Onassis selected and introduced by Caroline Kennedy is a homage to poetry’s place in the United States, in politics, and in families, but it also provides a portrait of a multifaceted woman who became the darling of a nation and the face of sorrow when her husband was assassinated. But like most women, she was more than her family, her famous husband, or her stint in the White House. She was a passionate woman who loved the arts, particularly poetry, and wanted to pass the love of beauty onto her children. Readers will come to see that she was successful in that endeavor at least and she inspires all mothers to do the same. Caroline Bouvier Kennedy is an American author and attorney. She is the daughter and only surviving child of U.S. President John F. Kennedy and his wife, Jacqueline Bouvier Kennedy Onassis. An older sister, Arabella, died shortly after her birth in 1956. Brother John F. Kennedy, Jr. died in a plane crash in 1999. Another brother, Patrick Bouvier Kennedy died two days after his birth in 1963. Book 22 for the Dive Into Poetry Reading Challenge 2014. Art from Dreams: My Jungian Journey in Collage, Assemblage, and Poetry by Susan Levin combines poetry, collage, and assemblage into two parts — “My Jungian Dreams” and “Nocturnes” — but the poetry only appears in the first section to accompany the dream-inspired collages. When it comes to Jungian dream interpretation, there are several archetypes — including the persona, the shadow, the animus, the divine child, the wise one, the great mother, and the trickster — and the archetypal events like birth, death, separation from one’s parents, marriage, and the union of opposites. The poems are very lyrical in the first half, though almost as enigmatic as some of the images produced from Levin’s dreams. The collage or assemblage pieces came first, but the poems were written later. In the foreword, Shana Nys Dambrot said that Levin embraces the role of the unconscious mind as a creative force in her work, which is clear. to what is known and unknown. Think about those dreams you remember and how we try to make sense of them, looking for symbols and hidden meanings; we’re much like the archeologists digging in the dirt, looking at bones to re-create the past and create a history that can be understood. Levin uses the poems to enhance her collage, and in many ways, she reminds us that art merely imitates life. In her poem, “Picasso Dream” and the accompanying collage is clearly inspired by the artist and his work. In the second session, Levin is exploring the darker underbelly of her dreams. There is a darkness inside us all, it nibbles just below the surface. Art from Dreams: My Jungian Journey in Collage, Assemblage, and Poetry by Susan Levin is an exploration in art and dreamscapes, as well as everything that makes us human. These images she’s created through collage, sculpture and found objects will make a deep impression and stay with readers long after they have closed the last page. 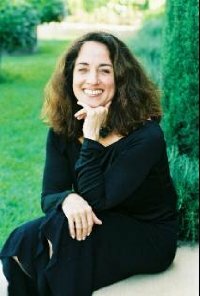 Susan Levin is a multi-media artist. She works in landscapes, portraits, works on paper, collage, collage/assemblage, found object, and sculptural art. For the past 2 years, she has focused on dream imagery and expressing the connections she has had with Carl Jung’s theories on dream imagery and how art therapy can help individuals express their own subconscious thoughts. Book 21 for the Dive Into Poetry Reading Challenge 2014. 53rd book for 2014 New Author Challenge. have long since abandoned me. and you, my love, are the tide." Many of these poems are about love and love that is lost. There are poems in which he asks to be haunted by his lost love and that he wishes to love every scrap of her that remains. In a poem early in the collection, he compares himself to a ship without a rudder and the lover is compared to a hurricane. In undulating rhythm, Gregson is a ship at sea carried away by waves — the waves of the tide, his lover. It is an unnamed poem, like all of them, that is beautiful in its simplicity. The love experienced in this poem is grand and overpowering. Each of these poems are typed on scraps of paper, pieces of books, napkins, and receipts. He also includes some gorgeous photographs, with accompanying poems. 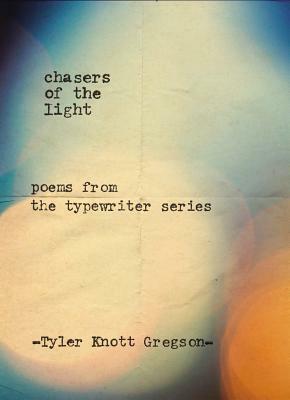 Tyler Knott Gregson is a poet, author, professional photographer, and artist who lives in the mountains of Helena, Montana. 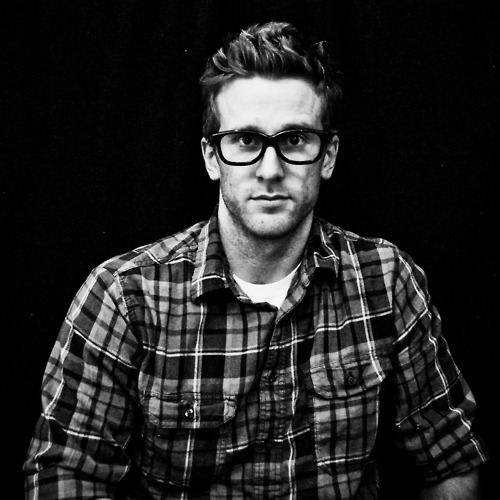 When he is not writing, he operates his photography company, Treehouse Photography, with his talented partner, Sarah Linden. Visit him on Twitter, Facebook, Instagram, and Pinterest. Check out his Website. Book 20 for the Dive Into Poetry Reading Challenge 2014. 52nd book for 2014 New Author Challenge. Muse by Dawn Marie Kresan is a powerful poetry collection in which inspiration takes center stage as the narrator examines the relationship between the muse and an artist. 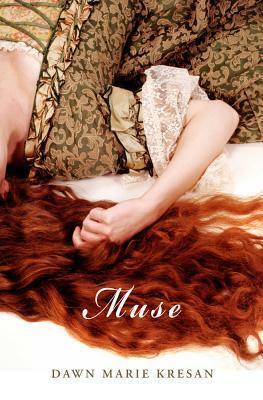 The collection begins with a biographical note about Dante Gabriel Rossetti’s muse, Elizabeth Siddal, who also became an artist herself after modeling for only one artist. Kresan examines her role as Rossetti’s muse, an inspiration for a great many paintings, and how the artist must have seen her and how there is now a disconnect between the woman she was and the woman that patrons of the arts now see in those paintings. She establishes the tone in the beginning with the poem “Found” when he gazes upon her beauty and is stunned, but the tone quickly devolves into something sadder with “Housebroken,” as the muse is compared to a dog and the trade-offs that are inherent when someone is dependent upon the good will of another. around the pallor of sunken cheeks. Kresan has mastered the use of imagery in her poems; they convey so much in so few words. The loss of a child and one’s sanity becomes palatable, like bile rising in the throat, threatening to burn the reader, providing just a taste of that loss. Kresan’s collection is searing and emotional, but also contemplative. It asks the questions: what do we give up to be artists? what do our inspirations/muses (even spouses) give up to be with artists? How does this relationship challenge us … change us? In the final part of the collection, there are a series of conversations and interactions between Siddal and other famous women — women who were considered muses in their own right, though maybe not to artists. She speaks with Princess Diana, Sylvia Plath, and others. Muse by Dawn Marie Kresan is well paced for a poetry collection, evolving over and over, creating a more complex look at the relationship between muse and artist, muse and reader/viewer, and muse to oneself. Book 18 for the Dive Into Poetry Reading Challenge 2014. 35th book for 2014 New Author Challenge. Tangle by Julie Cameron Gray is a collection of poems that weave in and out of one another, exploring the twisted up relationships between family and between lovers. These poems are a tangled web that must be read and re-read, read out of order, in order, at random. The themes vacillate from obsession to the breaking free of obsession to find yet another. Section two is witty and sad in its emphasis on the mundane working life of workaholics everywhere. This hodgepodge of poems works to tangle and untangle the complexity of our lives and to point out the most mundane. Never for a mouth crushed with roses. You will never be this red again. Gray’s lines roll out and back in, onto themselves, creating lyrical puzzles that lull readers into a song … losing themselves in the mystery of her words. Whether it is “Haiku for Penguins in a Box” that surprise the reader with its content or the illustrated nature of “The Commuter’s Elimination Dance” (a personal favorite of mine), Gray is imaginative and innovative in her poetry, pushing the envelope as far as it will go. Sometimes, she even breaks free of that envelope to set her imagery free. 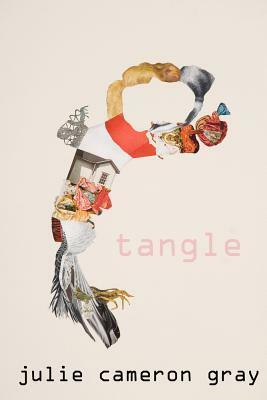 Tangle by Julie Cameron Gray explores the gap between human experiences and the understanding of those experiences, she tackles the relationships humans have to one another and to their own work lives, and she juxtaposes the wild lives of animals with that of urbanity. While these poems are glorious in imagery and verse, they may be a little tougher for beginning readers to understand upon first reading. Book 17 for the Dive Into Poetry Reading Challenge 2014. 34th book for 2014 New Author Challenge. 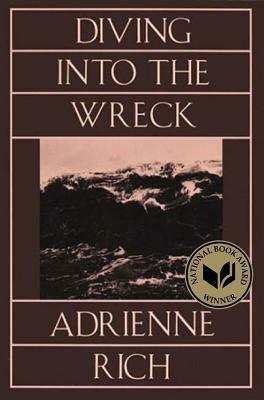 Diving Into the Wreck by Adrienne Rich rocks readers with each wave of verse, undulating in the depths of darkness to rise up into the air gasping for breath. Rich explores human nature, relationships between lovers, sisters, and more, but some of the most visceral poems are about self-reflection and even self-repair. Beyond the verse and the poet’s exploration of self and humanity, these poems force readers into their own self-examinations, looking at their pasts, the current relationships, and where they wish to be in the future. The hardest part about these kinds of poems is the internal digging that readers must do. How many different selves do we each have? If you’re a mother, there could be the professional self, the mother, and the individual without all the responsibilities and obligations, but Rich explores what all of those selves mean overall and that we must grab on to possibility, learning not to limit ourselves by adopting those labels. In “When We Dead Awaken,” she explores the toll that the world can take on us, branding us with memories — both good and bad — but also how these experiences inform and shape us. We have a duty to look out at our world, take in what we enjoy and reject what we do not — strive not only to change ourselves, but also our environment, which she achieves with phenomenal imagery of scarred landscapes by mining and more. Diving Into the Wreck by Adrienne Rich works on several planes of existence at once — the surface self-examination of the poet, then of the reader, but more so of humanity and its impact on the environment and each individual. At times, these poems will feel like drifting on the current, and at others, readers’ ships will be overrun with waves as Rich bombards them with images and twists in her verse. There is a distinctly feminist and political bent to some of these poems, particularly those focused on the Vietnam War. A phenomenal collection worth discussing with book clubs, but also something for quieter reflection. 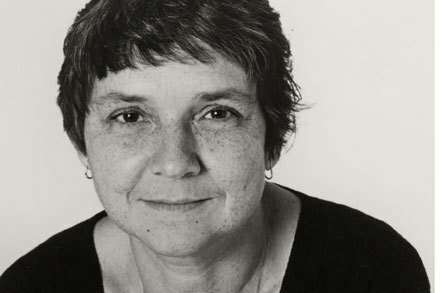 Poet and essayist Adrienne Rich was one of America’s foremost public intellectuals. 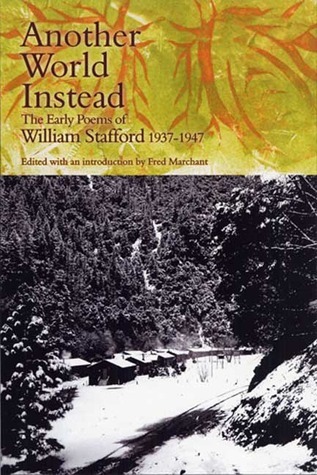 Widely read and hugely influential, Rich’s career spanned seven decades and has hewed closely to the story of post-war American poetry itself. Her earliest work, including A Change of World (1951) which won the prestigious Yale Younger Poets Award, was formally exact and decorous, while her work of the late 1960s and 70s became increasingly radical in both its free-verse form and feminist and political content. 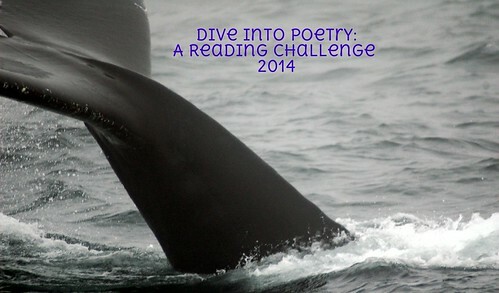 Book 16 for the Dive Into Poetry Reading Challenge 2014. 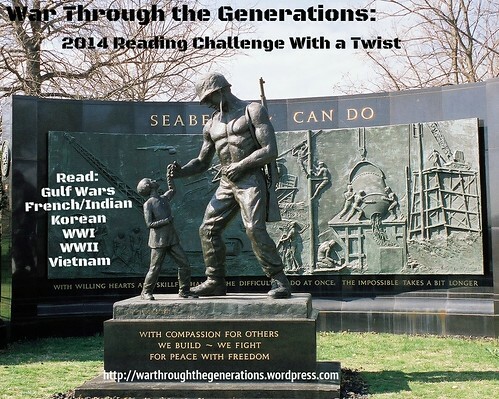 29th book for 2014 New Author Challenge. 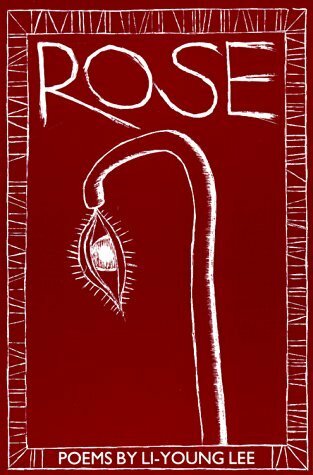 Rose by Li-Young Lee is a collection of poems filled with esteem and reverence for a father who is not fallible, but who is unattainable because of the myth a son has created about him. Like roses, fathers can be beautiful and yet dangerous creatures, prickly to the touch and radiant. On the face of Lee’s verse, it is simple, but looking more closely, readers will discern multiple levels of meaning. Here it is clear that the child, who has become a man, continues to esteem his father, holding him high and praising any small gift bestowed upon him, even if it is the most mundane knowledge. Many kids look up to their parents, and it is a wonder when kids become adults and still admire their parents — faults included — but Lee touches on the big question mark in all these relationships, the inability of us all to truly “know” our parents — to understand their motivations — so that we can learn to emulate the best parts of them. Rose by Li-Young Lee is powerful, endearing, and filled with heartbreaking awe. 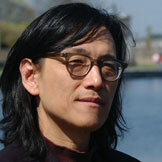 Li-Young Lee is an American poet. He was born in Jakarta, Indonesia, to Chinese parents. His maternal grandfather was Yuan Shikai, China’s first Republican President, who attempted to make himself emperor. 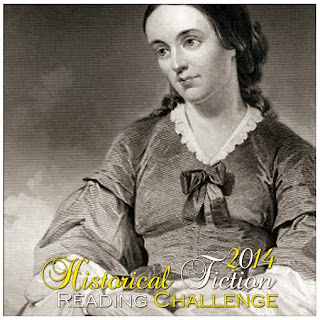 28th book for 2014 New Author Challenge. Book 15 for the Dive Into Poetry Reading Challenge 2014. Wilderness: The Lost Writings of Jim Morrison Volume 1 is a collection of poems, scribbled notes, photos, and a self-interview from Jim Morrison, lead singer of The Doors. Like he music produced by Morrison and his band mates, his poetry has a hallucinatory quality. Foremost a poet who unexpectedly found himself as a lead singer, lyrics of The Doors are in these poems, or vice versa depending on which he wrote first. Fans of the band will enjoy looking at Los Angeles through Morrison’s eyes in these poems, with several referring to the city as LAmerica. The seedy sides of L.A. are not glossed over, nor are his nomadic days with his family. While much of his poetry is psychedelic in nature, dark, and offensive at times about carnal desires, there also is a reverence paid to the military, particularly military veterans, which could be influenced by the fact that his father was a military veteran. However, like most artists, when compared to one another, the poems often contradict one another, as if the poet is working out some internal struggle of ideas. There are moments where the poems are lucid and easy to follow, but there are other times when the poems are confusing and make little sense to the reader without some reference point in the literature (i.e. William Blake or Nietzsche) or other knowledge Morrison picked up in his reading and living. Despite the notes in the back that suggest Morrison often wrote many drafts of his poems (though the editors had a problem with chronology of those unnumbered and undated drafts), many of these poems feel unfinished and unpolished. 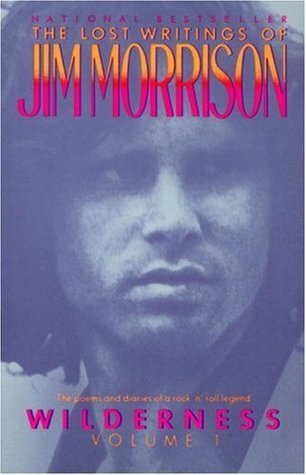 Wilderness: The Lost Writings of Jim Morrison Volume 1 is an existential journey of a poet, artist, and musician. Fans of the band will love this collection, those that want an experience and look at the 1970s in Los Angeles will also love this collection. 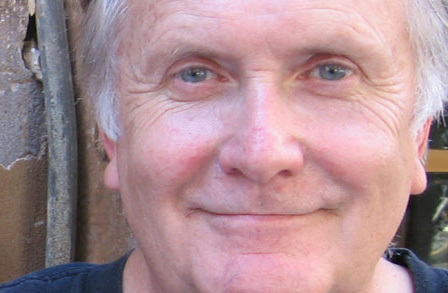 Those looking for poetry that wows or connects with them may find it harder to connect with, especially since the poetry is a bit cryptic in purpose. Jim Morrison was an American singer-songwriter and poet, best remembered as the lead singer of Los Angeles rock band The Doors. Book 14 for the Dive Into Poetry Reading Challenge 2014. 22nd book for 2014 New Author Challenge.